On the color spectrum, crystals can be considered chameleons in that they provide mirror images of other colors. Crystals represent both the positive and negative within all of us without taking on a life color of their own. 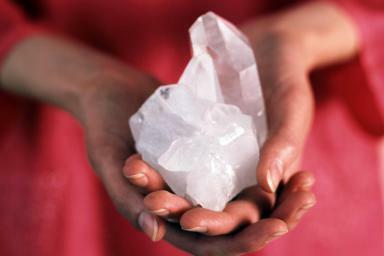 Crystals soak up energy for everything around them. This makes them the clearest and cleanest healers of energy available to mankind. They have a high frequency energy from which they resonate. This is why you shouldn’t have crystals around crowds of people for extended periods of time. Color is important to all of us and we all have a special connection to each one. We are inexplicably drawn to colors without thinking about it. Some people can feel the colors in the auras of the people around them. Each person has their own color just as they have their own auras. As we become aware of the colors around us, our friends and family members will present colors of their own. Some people will present complimentary colors that specifically suit them. Some will present colors that give off the mood they proclaim to the world around them. Some people’s colors will reduce in intensity when they get tired. If you are drawn to specific color, it is possible that it is a reflection of our own aura. It has been said that we look best in the color that is created by our energy. Some people even paint their homes to surround themselves in the colors of their energy. People who have successful relationships generally have complementary aura colors. Just as you are drawn to colors, you may be drawn to the energy and vibrations of specific crystals. Crystals have a natural beauty. They work to help ups harmonize with us to enhance the beauty of our lives. The instinct that pulls us to colors also draws us to our own personal crystals. 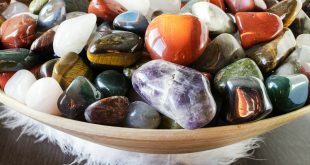 Psychics have reported that when they recommend a crystal to client, the client reports that they have always had fondness for that stone. But just as each person is an individual, each crystal has its own preference. Each stone won’t work for each person. When you find the right one, you will feel as recharged. Many people have reported life changes when they find a crystal that suits them. These can be as big as getting a new job or as minor as simply finding peace and harmony. 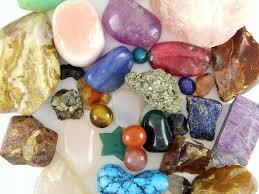 Finding a crystal that jibes with your aura can make your life a veritable rainbow of hope.